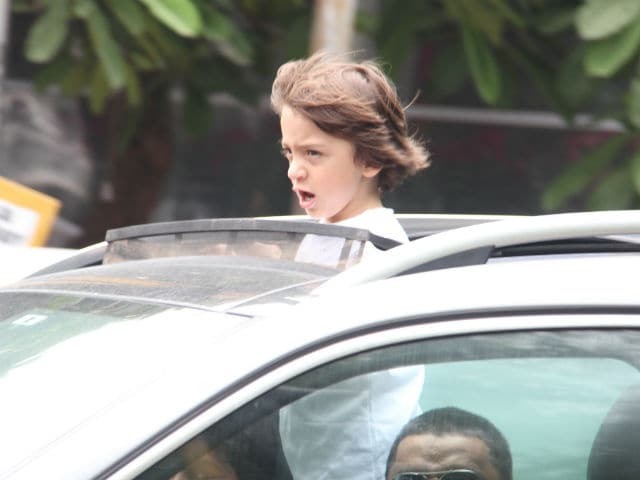 Actor Shah Rukh Khan's youngest son, AbRam, was seen enjoying a long drive around Mumbai on Friday. The four-year-old was seen standing up through the sunroof of the car and totally enjoying the cool monsoon breeze. AbRam was not accompanied by his parents Shah Rukh Khan and Gauri Khan. The 51-year-old actor has often shared pictures with AbRam on social media and we all know how much the little one loves the paparazzi. He is often seen accompanying Shah Rukh Khan at various events. On Eid, AbRam greeted the media along with the Swades actor. SRK and Gauri welcomed AbRam in May, 2013. His elder siblings are Aryan, 19 and Suhana, 17. See pictures of AbRam enjoying a long drive here. In February, a video of Shah Rukh Khan and AbRam's outing had gone viral on social media. 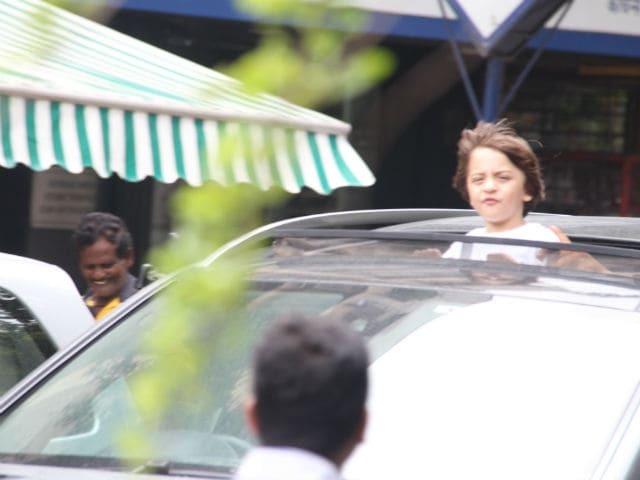 Shah Rukh Khan had taken AbRam for a drive in a convertible and fans went crazy after they caught a glimpse of the father and son duo enjoying the Mumbai breeze. As the crowd chased their car to take pictures, AbRam merrily waved. Shah Rukh Khan last made a cameo appearance in Salman Khan's Tubelight as magician Gogo Pasha. He is currently busy promoting his upcoming film Jab Harry Met Sejal along with Anushka Sharma. The film, directed by Imtiaz Ali, is scheduled to release in theatres on August 4. Jab Harry Met Sejal is Anushka and SRK's third film together. Shah Rukh Khan is also shooting for Aanand L Rai's yet-to-be-titled film, in which he plays a dwarf.